With a breathy, helium-infused voice pitched somewhere between Isobel Campbell and The Knife's Karen Andersson, New York's Meredith Godreau makes delicate, ornate folk which draws on influences ranging from country and western (opener 'It's for the Best') and traditional eastern music (standout track 'Landscapes'). This gives her music something of a travelogue feel, which is apt since Leche was inspired by Godreau's travels and the insights she gained from them. Impermanence also seems to be a concept the album ruminates on. A delicate air of loss and mourning permeates the hesitant, autumnal folk of 'Over and Over' and the fluffy cloud melody of 'Soulgazing' which, along with the juvenile quality of Godreau's voice, recalls Icelandic folktronica practitioners mum. Often the twisting, winding melodies reduce Godreau voice to little more than an ethereal effect, albeit an absorbing one, and only a few arresting words stand out, such as her chirped "The waves will watch you go" on the excellent 'Geysir Nationale'. The album's most idiosyncratic moment comes with 'Puller Return', on which Godreau quotes Cutting Crew's '(I Just) Died in Your Arms Tonight' over fiddly, insular finger picking, whistling and what sounds like the massed humming of the spirits of drowned sailors. It's odd, to be sure, but perfectly realised. However, for all its foggy, subtly gothic mystery, Leche contains enough strong melodies and light-hearted moments to give it crossover appeal. 'It's for the Best', 'Leaves' and 'Olly Olly Oxen Free' could comfortably feature on the soundtrack of any Hollywood rom-com. Unfortunately, it should also be pointed out that the latter two songs make up Leche's least interesting moments. Much better is the depressed melodrama of 'Frebeight' which sounds like a more folk-orientated Portishead. 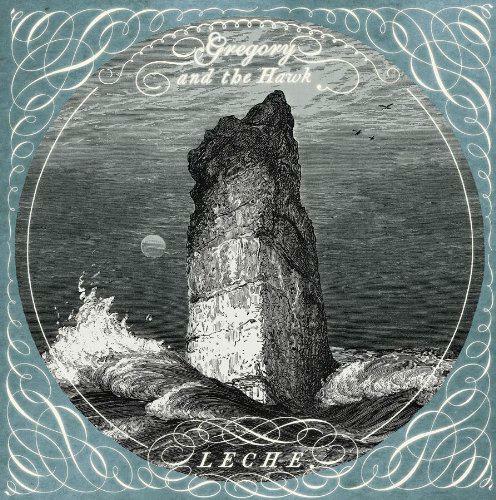 Songs such as this, eccentric but containing fragile, beautiful melodies for the listener's ear to unpick, are where Godreau's strength lies and they make Leche an album you'll want to return to.